Note: This is part of Advance CTE’s blog series, “Getting to Know…” We are using this series to help our readers learn more about specific states, State CTE Directors, partners and more. About Missouri: The issue keeping state leaders in Missouri’s Office of College and Career Readiness up at night is figuring out how to ensure quality in Career Technical Education (CTE) programs across the state. Missouri is home to 57 area career centers, 450 comprehensive high schools, 12 community college districts and one state technical college that provide CTE courses to more than 244,000 students combined. As in other states, quality varies from district to district. That’s why, in 2013, Missouri worked to identify the menu of indicators that best reflect high-quality CTE programs. Eventually, the Office of College and Career Readiness settled on six criteria to guide and promote quality, called the “Common Criteria and Quality Indicators,” which were launched publicly in 2015. The indicators describe necessary components related to curriculum, instruction, assessment and more. At the moment, the Quality Indicators carry no weight in the state’s accountability or funding structure, though Missouri is redesigning its CTE funding formula to better integrate and promote the six criteria. The plan is to roll out an updated formula in the 2018-19 school year to ensure state funds go to support quality programs. In the meantime, the Quality Indicators framework is available as a self-evaluation tool for local programs. Agricultural education and business are two of the most popular programs in the state, though manufacturing has enjoyed increased popularity as the sector has grown in the decade since the economic crisis. Students enrolled in CTE programs are also encouraged to participate in work-based learning opportunities and take industry credentialing examinations. Schools earn additional points toward their “college and career readiness” score for these students. Additionally, the state has an Apprenticeship USA grant to support Registered Apprenticeships. 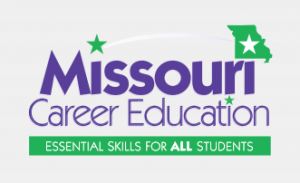 To encourage vertical alignment between secondary and postsecondary CTE programs, Missouri offers dual enrollment opportunities for students to begin earning credit toward a postsecondary degree while they are still enrolled in high school. There is also a representative from the postsecondary system on the state’s CTE Advisory Council (more on that below). Noteworthy in Missouri: The state legislature recently made two significant changes to the Missouri CTE system. First, it established a CTE Advisory Council, which includes four members from the general assembly and 11 other individuals appointed by the Commissioner of Education. The Council meets four times annually and provides guidance and recommendations on strengthening Missouri’s CTE programs. The Council was convened for the first time in January, 2017. Another new and notable policy in Missouri is the adoption of a Career Education Certificate that students can earn in addition to their high school diploma. The policy was adopted by the state legislature in 2016, and the Office of College and Career Readiness, with support from the CTE Advisory Council, is in the process of defining the certificate requirements. Under the current proposal, the certificate will be available to CTE concentrators who pass a technical skill assessment or earn an industry-recognized credential, complete work-based learning experiences, and meet certain GPA and attendance requirements. The Office aims to implement the certificate beginning in the 2017-18 school year.